Grove Press, Open City Books, 9781890447267, 200pp. Meghan Daum is one of the most celebrated nonfiction writers of her generation, widely recognized for the fresh, provocative approach with which she unearths hidden fault lines in the American landscape. From her well-remembered New Yorker essays about the financial demands of big-city ambition and the ethereal, strangely old-fashioned allure of cyber relationships to her dazzlingly hilarious riff in Harper's about musical passions that give way to middle-brow paraphernalia, Daum delves into the center of things while closely examining the detritus that spills out along the way. 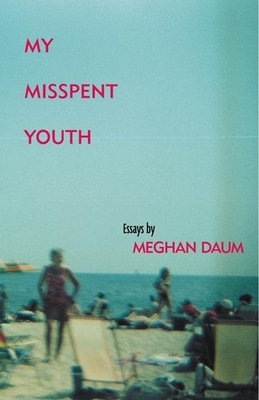 She speaks to questions at the root of the contemporary experience, from the search for authenticity and interpersonal connection in a society defined by consumerism and media; to the disenchantment of working in a "glamour profession"; to the catastrophic effects of living among New York City's terminal hipsters. With precision and well-balanced irony, Daum implicates herself as readily as she does the targets that fascinate and horrify her. In a review of The KGB Bar Reader, in which Daphne Merkin singled out Daum's essay about the inability to mourn a friend's death, Merkin wrote: "It's brutally quick, the way this happens, this falling in love with a writer's style. Daum's story hooked me by the second line. Hmm, I thought, this is a writer worth suspending my routines for."